What is a Dragon Ball? How to use a ball? How to create a higher level of Dragon ball? No this is not the dragon ball Z video or anything like that. Although i think it kinda relates. Hehehe. Have you ever wanted an upgraded item but you can't get past +2 because it always fails after that? A dragon ball basically makes upgrading easier. Perfect. 100% Success. 1) Some treasure boxes in the Arena have them. Very rare drop. 3) In the item mall. Dragon balls level 1 - 5 are being sold there. o Insert a Dragon Ball in the slot for upgrading gems while upgrading your item. 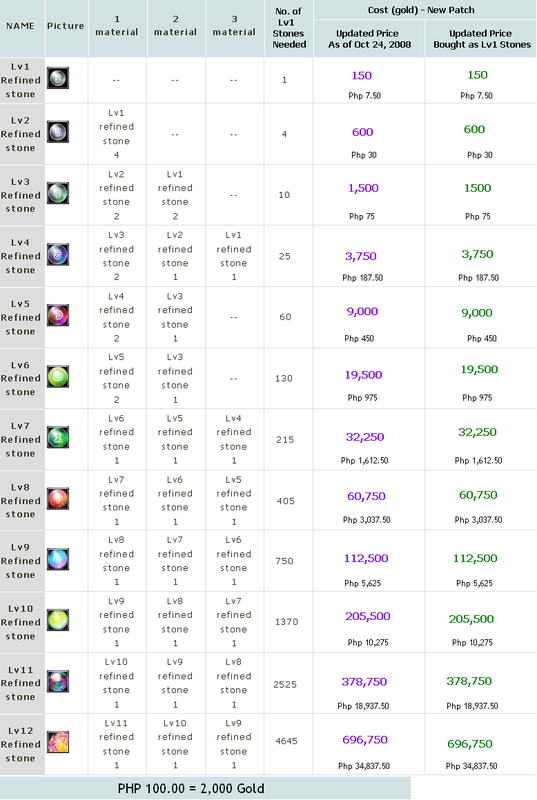 Keep in mind that you must still have the requisite amount of Immortal Stones to upgrade your item. o The number of stars on the Dragon Ball indicates the limit of the safe upgrade guarantee of the gem. A Nine-Star Dragon Ball guarantees safe upgrading for +1 through +9. Blue-Sea is safe until +10, Prismatic is safe to +11 and Burning-Red is safe to +12. o Once you use a dragon ball, the dragon ball disappears. 3. Click the button and it will show you how many pcs of Lv 1 dragon ball you will still need. It will also show the formula that you will need to follow to create that level of dragon ball. IMPORTANT: Please make sure that you have the different dragon ball levels (ex: for a level 5 DB, you will need 1 level 3 DB and 2 Level 4 DB) for whatever dragon ball level you want.